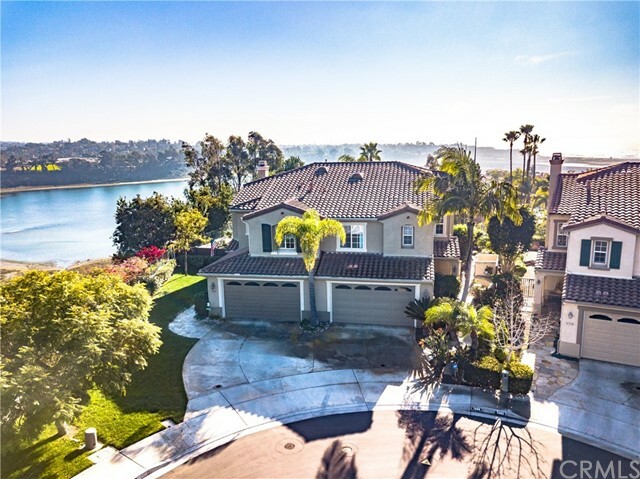 Located in the highly desirable carlsbad coastal gated community of sea cliff. This beautifully maintained & tastefully remodeled popular "e" model offers coastal living at its finest. New nontoxic vinyl plank flooring ,custom carpeted stairway,2 master suites upstairs w/full baths,1 w/soaking tub,1 opt bed w/full bath downstairs. Gorgeous remodeled kitchen,quartz counters,recessed lighting,reverse osmosis, ss appl. ,custom sea shell fireplace,epoxy garage floor,new ac & furnace. Approx 1/4 mile from ocean ! Ocean view single story end unit! The only home in the complex that has its own full sized level backyard (not just a patio). Turnkey with plenty of upgrades, including complete re-models of both bathrooms. Experience true pride of ownership this home exudes as soon as you open your front door. Newer paint and carpet and of course forever ocean views with a private relaxing garden. Walk to community tennis courts and swimming pools, parks, shopping and even the beach! Panoramic ocean views!!! Excellent location with shopping, fitness center, grocery stores and costco within 5 minutes. This home features tile floors, cozy fireplace, crown molding, drought tolerant landscaping. Patio has a custom wood shade arbor, circular stone natural gas fire pit and natural gas grill with plenty of room for outdoor living. Enjoy resort style living in this quiet gated community with pools, spas, tennis, ponds, walking paths, clubhouse & pavilion. All within a mile of the beach!!! Located in the exclusive aldea subdivision in aviara, just steps to the 5 diamond, park hyatt hotel. This immaculate move in ready home was remodeled with a permitted loft added. This light bright home boasts a remodeled kitchen with s. S. Appliances & remodeled baths, new light fixtures, a reverse osmosis system, newer ac unit, bamboo flooring, custom built-ins in pantry & second bedroom, extensive led lighting added throughout, plantation shutters, attached 2 car garage with storage system & epoxy floor. Seller will entertain offers between $729-749,000. Ocean views! Great opportunity in the desirable gated community of sea cliff! 2 masters suites, with office/den/full bath on the 1st level. Murphy bed/2nd br. & custom cabinets. Gated community with picturesque lakes, tree-lined streets, walking paths, tennis courts, pools, gazebos, & newly remodeled club house. Check out all of the custom built-in cabinetry thru the house & garage. Furnace and ac 2 yrs. Sellers purchased another home. Bring offers! !